TOWSON, MD – DeWalt launches a new 5” Single Speed Random Orbit Sander with hook and loop pad (DW6421), the second in a new line of sanders from the professional power tool brand. The 5” Single Speed Random Orbit Sander weighs only 2.9 lbs and stands at 140mm, allowing the user to get close to the sanding surface. The powerful 3 amp tool delivers 12,000 OPM on a 3/32” orbit. 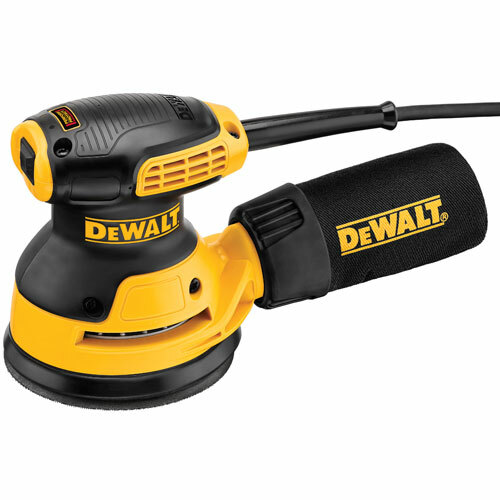 This sander, as well as the 5” Variable Speed Random Orbit Sander (DWE6423), is part of the DEWALT Perform & Protect™ line of power tools. DEWALT Perform & Protect™ tools are designed to provide a high level of one or more of the following: control, dust containment, or low vibration, without sacrificing performance. The 5” Single Speed Random Orbit Sander achieves smooth finishes with minimal vibration via a separate counterweight that provides the user with comfort and control. Also contributing to user-satisfaction during sanding is a rubber over-mold designed for comfort during use. A rubber dust skirt aids in dust collection and minimizes dust escaping around the pad. Additionally, the dust bag positively locks with one hand onto the innovative sander port. 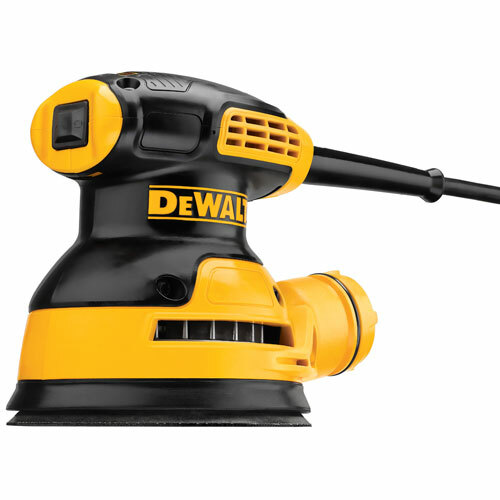 The dust port also attaches to DEWALT Dust Extractors (DWV012 and DWV010) and Universal Connector System (sold separately). The DW6421 can be used for a variety of sanding applications including top grip flat or edge sanding and body grip edge sanding. Whether for use by Woodworkers, Cabinet Makers, DIYers, General Contractors, or Remodelers, this new sander is built Guaranteed Tough® by DEWALT and works on many surfaces including wood, metal, and fiberglass. Also available now is the 5” Single Speed Random Orbit Sander with PSA pad (DW6420). 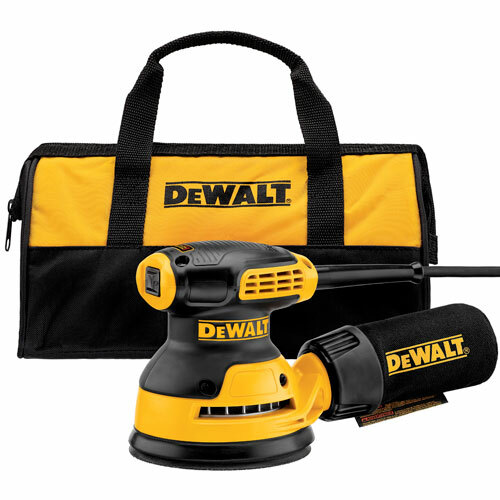 Both products are available where DEWALT products are sold. The DWE6423 and DW6421 each retail for approximately $64, come with a 3 year limited warranty, 90 day money back guarantee, and 1 year free service contract.